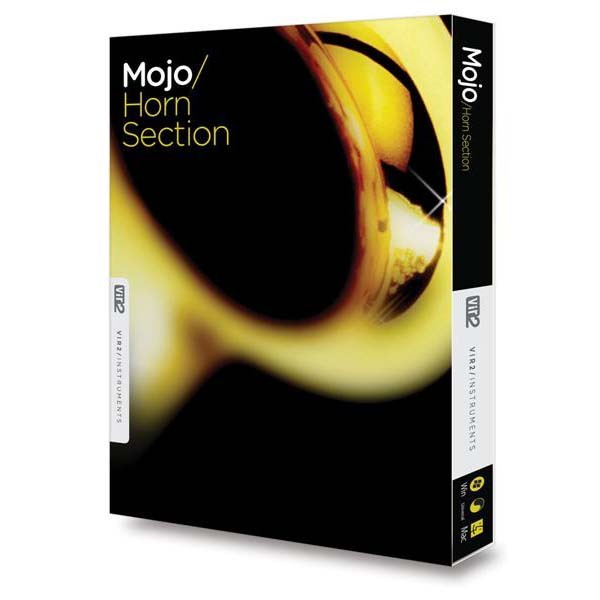 Now at the tips of your fingers is the most versatile horn section in the world, MOJO: Horn Section, which offers the most flexible and innovative approach to pop, funk, jazz, and big band horns ever created in a virtual instrument. Pushing the boundaries of sampling and scripting technology far beyond traditional sample libraries, MOJO offers a simple but feature-packed interface. No need to decide in advance which articulation you want to play. Simply load the instrument, turn the Ensemble knob to specify how many players you want playing that instrument (from a soloist to a dectet) and begin controlling the instrument from the keyboard. 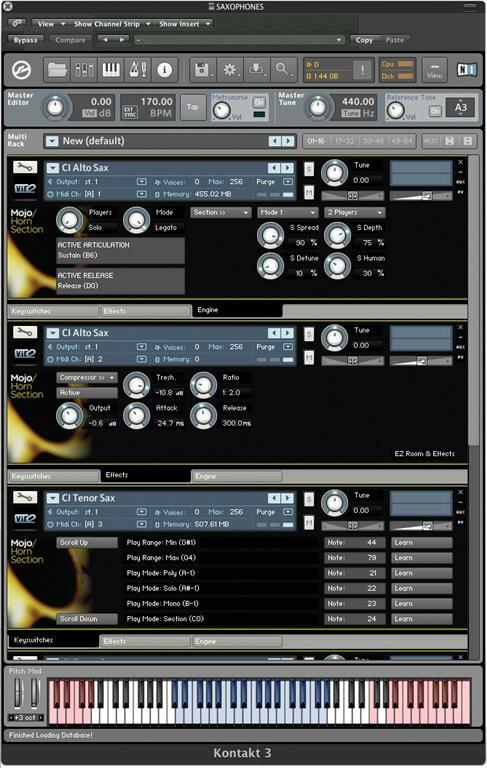 Mojo Horn Section Screenshot More than a dozen articulations are instantly loaded and intelligently handled via performance features and keyswitches. Behind the scenes, a humanizing function, smart release layers, and custom legato and vibrato tools assist the player in reproducing the ultimate dimensions in realism. Crescendos and swells sync instantly to host tempos and can be triggered in real time. Included in the instrument collection are: soprano, alto, tenor, and baritone saxophones, trumpet (open, muted, and piccolo), flugelhorn, trombone (open and muted), bass trombone, and clarinet. The articulation list varies for each instrument, but generally includes sustains, stabs, staccatos, trills, slurs, shakes, octave runs, rise to hits, falls (including four different lengths), doits, bends, stylistic riffs, special effects, and tempo-synced swells and crescendos. All samples are recorded in 24-bit stereo using the finest preamps in the world, including a vintage Neve 1073 and a LaChapell Audio 992EG, and mics by AKG, Neumann, and Coles. MOJO is powered by the popular Kontakt engine, offering total integration into all major sequencers via its AudioUnit, VST, and RTAS plug-ins, as well as standalone operation.